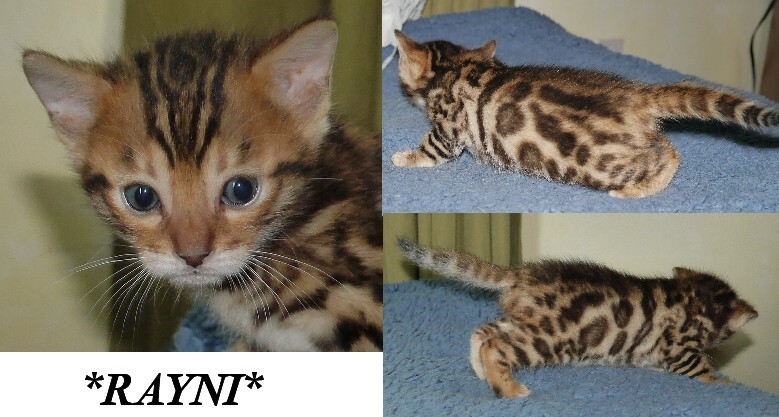 Rayni This beautiful little brown rosetted Bengal kitten is now available for deposit! Pictured here at 3 through 8 weeks of age. Rayni will be ready to leave me the beginning of October. 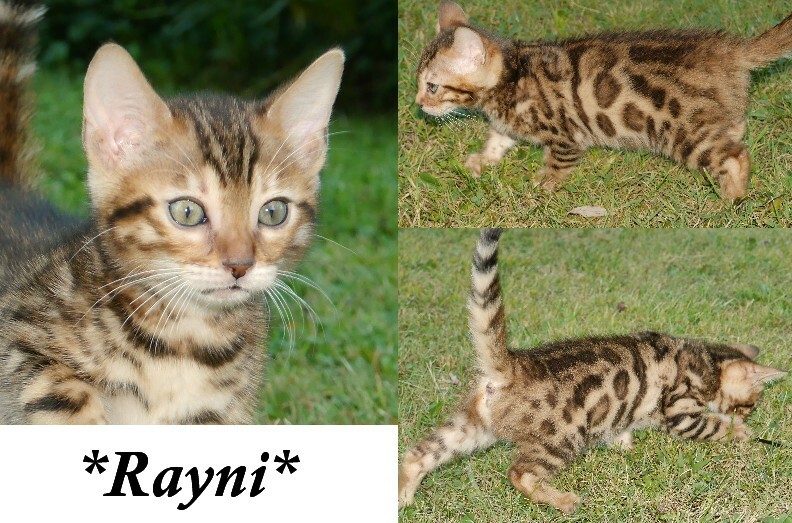 Rayni, playing outside with the want toy & discovering the world at 8 weeks old! 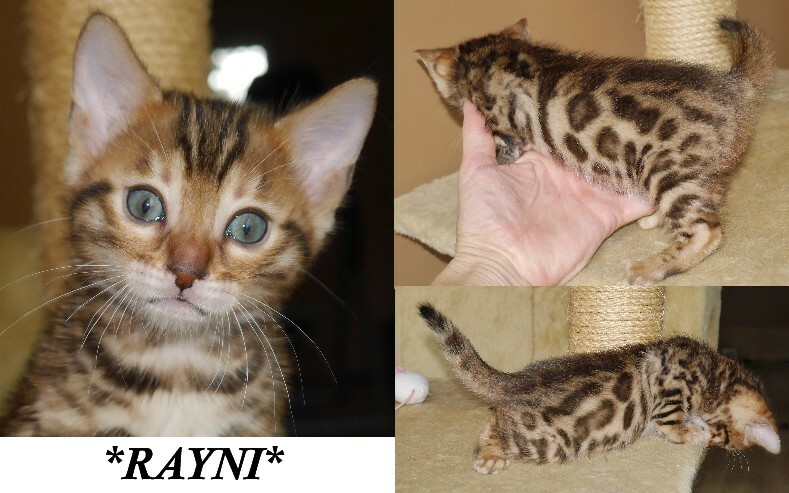 This entry was posted in Bengal Kitten Gallery, Gallery and tagged bengal kittens, Brown Rosetted Bengal. Bookmark the permalink. 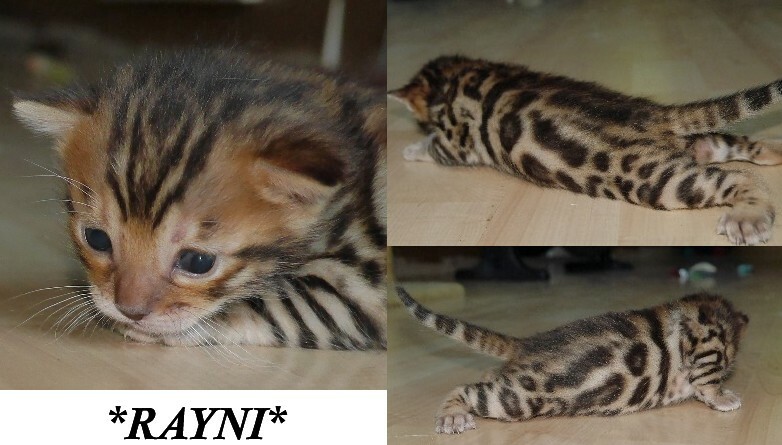 ← Silver & Brown Rosetted Bengal Kittens!